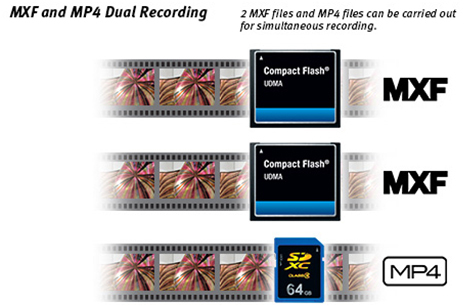 The XF200's function lets you pass video files via FTP; this Real-Time Proxy Transfer mode enables remote control of key camera functions and transfer of proxy files. 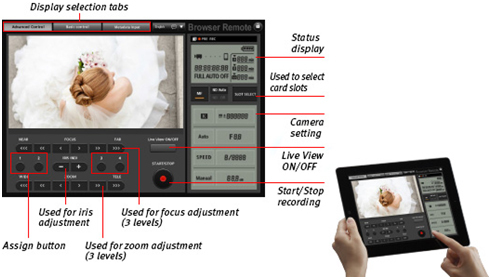 Using Canon's CameraAccess application, live video images can be viewed and/or recorded as MP4 proxy data and other operations controlled from a compatible smartphone or tablet device allowing news footage, for example, to be distributed and backed up. 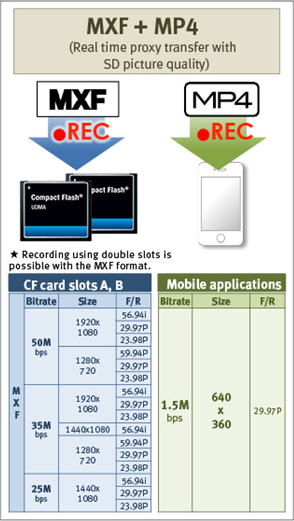 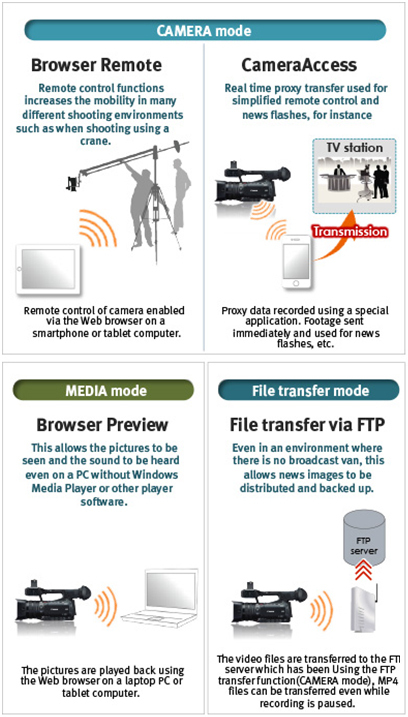 MP4 proxy files recorded on the compatible smartphone or tablet can be used to check material being captured at the remote location, and for news-flash footage. 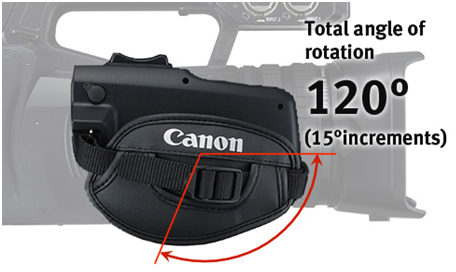 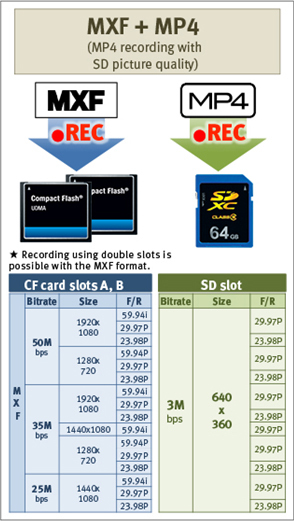 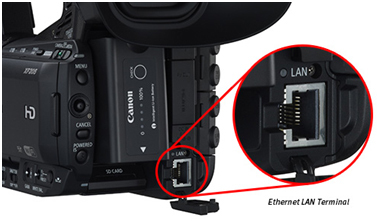 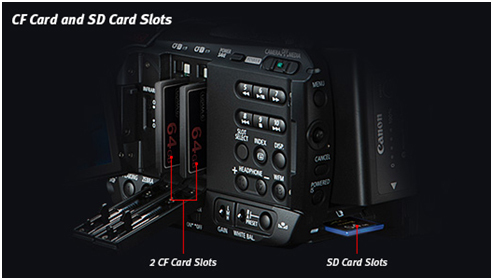 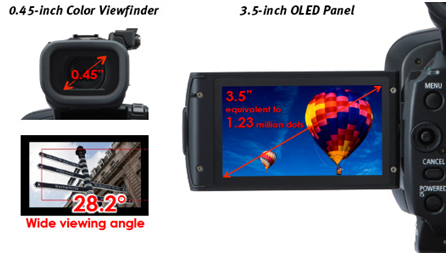 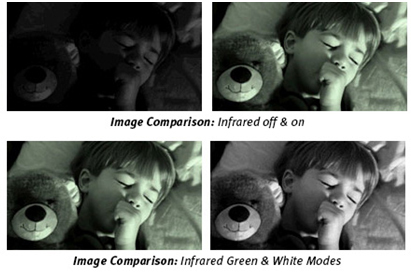 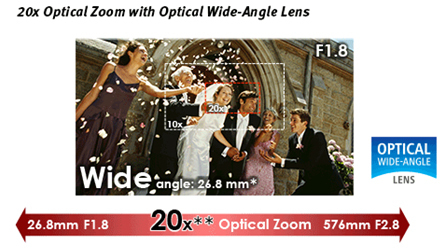 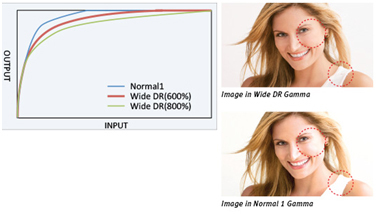 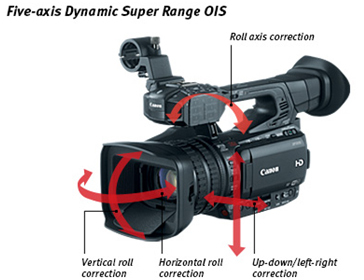 Live or recorded images can also be output via the camcorder's HD-SDI connectors. 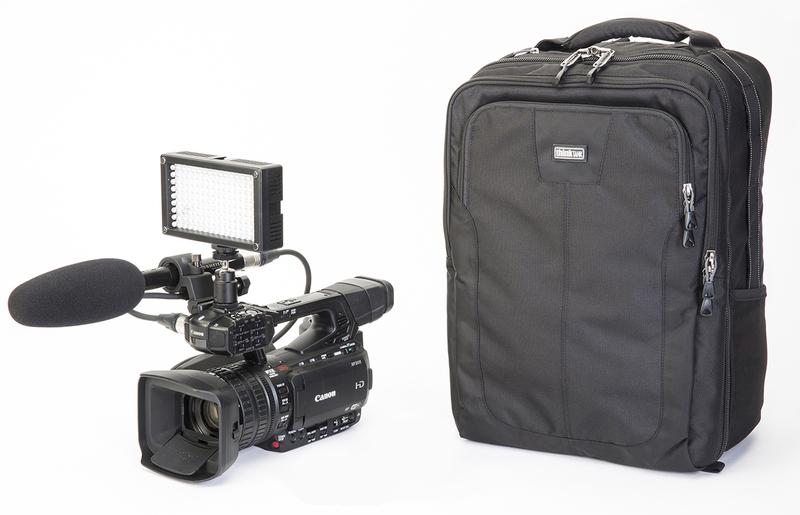 This kit includes the XF200 Pro Camcorder, Lens Hood with Lens Barrier, Eyecup, Battery Pack BP-955, Battery Pack BP-975, Compact Power Adapter CA-930, DC Cable DC-930, Wireless Controller WL-D6000, Microphone Holder Unit, Ikan iled144, Sennheiser MKE 600, XLR Cable, Think Tank Airport Commuter Backpack and Canon XF Utilities Disc.